Trust in "the mass media, such as newspapers, TV and radio" in polls taken by the Gallup Organization is at 32 percent, the lowest ever. A Feb. 5-6 Emerson College poll of registered voters, weighted to reflect turnout in the 2016 election, found them evenly divided about the Trump administration's truthfulness, but by 53 to 39 percent, they considered the news media untruthful. The Pew Research Center found in early 2016 that there was little difference in the trust of local and national news outlets. About 22 percent of Americans said they trust local news outlets a lot, and 18 percent said that of national news sources. Sixty percent and 59 percent said they trust local news an national news only somewhat. Recently, rural and community journalists have voiced concern that the attacks on "big media" are hurting "little media," too. 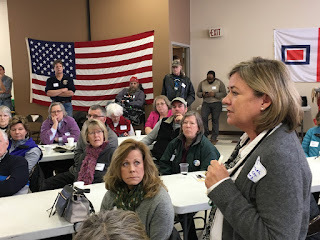 Madsen says she trusts Smith "because I know him as a member of the community, but once we move beyond the hyperlocal news of a rural county, how do we know whom to trust? . . . He believes he’ll weather the fake news and biased media storm because he’s built relationships in the community to establish trust and credibility. There’s an accountability that comes from being a visible presence at the local city council meeting or high school sports events. People feel free to let you know face to face if they have a complaint." Community journalists know that, but Smith felt it in a more meaningful way of it last summer, when he "had serious health issues last summer that delayed production of the paper," Madsen writes. "He wrote about it frankly and discovered how deep those community relationships had become. . . . He was warmly surprised at how people sought him out to wish him well." Madsen notes, "It’s tougher to build trust and credibility, to make that human connection, as the circle gets larger. The chance that you’ll know one of the reporters of your regional newspaper, television or radio station becomes remote. Spokane journalists are grappling with breaking down the barriers using social media." That's an important device, because social media have become the dominant source of information for most Americans, not counting the traditional media stories they pass along. But social media are largely unfiltered, and lack the verification procedures of journalism (with the very limited exceptions of Google banning fake-news publishers from its AdSense network and Facebook limiting its Trending Topics box to matters covered by a significant number of credible publishers). Verification is one of the essential elements that distinguish journalism from other types of information. "Its essence is a discipline of verification," Tom Rosenstiel and Bill Kovach wrote in The Elements of Journalism, a book recently revised and updated with material on social media, the challenges facing print journalism, and "how journalism can fulfill its purpose in the digital age." The other elements, in some cases better called principles, say journalism has truth as its first obligation and citizens as its first loyalty; that it must be an independent monitor of power and provide a forum for criticism and compromise; that it should keep significant information interesting and relevant, and make news coverage comprehensive and proportional; and that journalists must have a sense of ethics and be allowed to exercise their conscience. Kovach and Rosenstiel also say citizens have rights and responsibilities when using media, especially verifying what they pass along. The latter point is unlikely to get much adherence, but it and the other elements provide a basis for journalists and the public to better understand each other's roles. That appears to be more important than ever, everywhere. "Trump's anti-journalism rhetoric gives license to such behavior at the local level," Ohio University journalism professor Bill Reader writes on the Hotline of the International Society of Weekly Newspaper Editors. "When you hear people in city halls and courthouses of rural America saying 'all journalists are scum,' that just sets up a situation that is harmful for all involved, and could very well lead to government engaging in misinformation, obstructionism, even open harassment of their local news media." In the mountains of Southern California, at Frazier Park, The Mountain Enterprise and The New Mountain Pioneer are dealing with residents "associated with a Property Owners Association of about 3500 people—a full-on village— trying to mirror our President Trump's ploys to shut down media reporting and try to divert attention away from their own deeds by attacking the local media," Managing Editor Patric Hedlund writes in an email. "I even gave one woman a two-page op-ed to make her case about 'fake news.' And jumping on the bandwagon, the general manager of the POA is trying to end-run and game us now. He waits until I've asked my questions—he'll only accept them by email—and then loiters in his reply until he knows we've had to go to press, then puts out a 'press release' via email blast to residents to attack the newspaper." Of course, Hedlund writes, "It is only through the newspaper that residents are being able to make their voices heard definitively about the effort to build a $7 million new clubhouse, which the residents will be paying for with increased assessments … and which the majority of people do not want. So the debate is raging via op-eds and LTEs in the newspaper, while the POA board is trying to extinguish all discussion and dissent. Which is why they are seeking to get people to ostracize those who ask critical questions, including the newspaper." 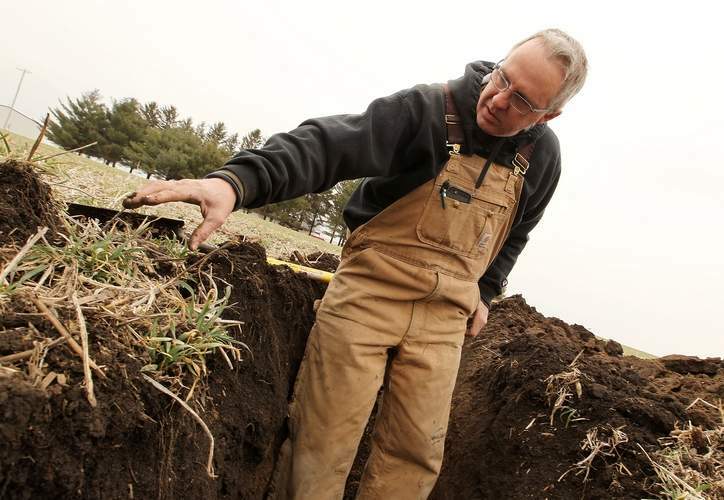 Farming, always a boom-and-bust enterprise, appears to be in the midst of the next great bust, Jesse Newman and Patrick McGroarty report for The Wall Street Journal. "Across the heartland, a multiyear slump in prices for corn, wheat and other farm commodities brought on by a glut of grain world-wide is pushing many farmers further into debt. Some are shutting down, raising concerns that the next few years could bring the biggest wave of farm closures since the 1980s." Economist say it shouldn't be as bad this time around, mainly because "farm incomes hit record highs as recently as 2013, leaving many growers with significant cash reserves," reports the Journal. "Interest rates, while expected to rise, are still near record lows. Although debt-to-asset ratios among U.S. farmers are projected to increase in 2017 for the fifth straight year, they also remain historically low." But the U.S. Department of Agriculture says the "U.S. share of the global grain market is less than half what it was in the 1970s" and American farmers’ incomes is projected to drop 9 percent in 2017, "extending the steepest slide since the Great Depression into a fourth year." Another problem is that smaller farmers have been getting pushed out, reports the Journal. "As farm sizes jumped, their numbers fell, from six million in 1945 to just over two million in 2015, nearing a threshold last seen in the mid-1800s. Total acres farmed in the U.S. have dropped 24 percent to 912 million acres. U.S. wheat exports last season were the lowest in almost a half-century, though government forecasters expect them to improve this year." "A decade ago, a U.S. biofuel boom and China’s growing middle class lifted prices for crops like corn and soybeans," reports the Journal. 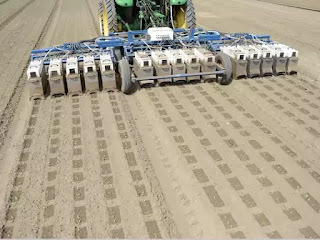 "Many American growers spent the windfall buying land and half-million-dollar equipment. The boom also encouraged farmers in other countries to ramp up production. Farmers world-wide put nearly 180 million new acres into cultivation over the past decade. Lower production costs, proximity to fast-growing markets and improving infrastructure gave some overseas farmers an edge. 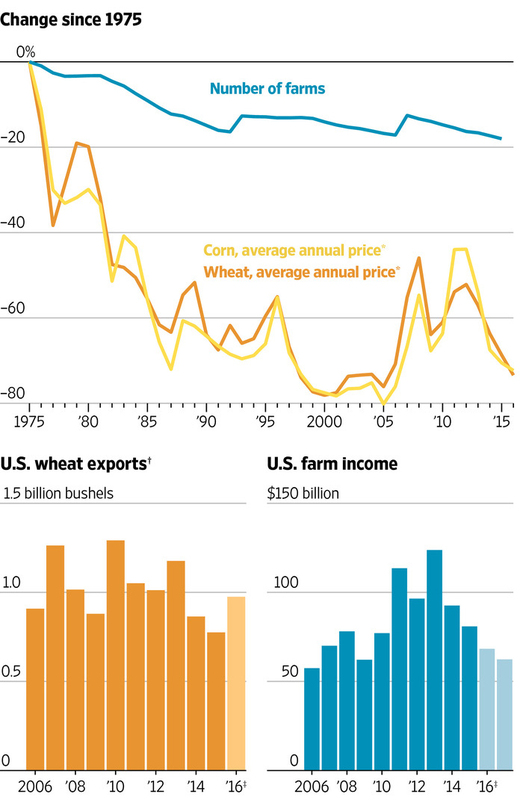 Corn and wheat output has never been higher, and never has so much grain been bunkered away." "Today, the swings are sharper and less predictable now that the farm economy has become more international, with more countries growing food for export as well as for their own populations," reports the Journal. 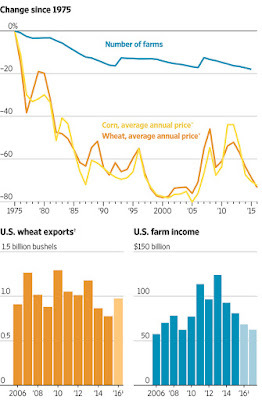 "American farmers’ share of the global grain trade has fallen from 65 percent in the mid-1970s to 30 percent today, giving them less sway over prices. More producers and more buyers around the world also mean more potential disruptions from bad weather, famine or political crisis. Corn prices once varied year-to-year by less than $1 a bushel. 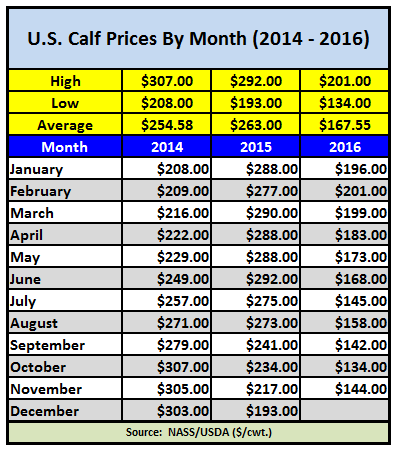 Since 2006 they have shot up and dropped more than $4 a bushel." The U.S. Department of Agriculture's World Agricultural Supply and Demand Estimates report tallies that 819 million bushels of corn have been shipped in 2016-17 and another 802 million bushels are on the books—a 67 percent increase over the same time last year, Todd Hultman reports for DTN The Progressive Farmer. "However, USDA's export estimate for all of 2016-17 is up just 17 percent from last season's 1.898 billion bushels. Why the big gap?" "It could also be said USDA is reluctant to hike its export estimate while Brazil's crops are doing well," Hultman writes. "Brazil's government just estimated its corn crop at 87.4 million metric ton on Thursday, up from last year's 67.00 million metric ton. But that argument also doesn't go very far. Even in a good year, Brazil's corn exports don't typically pick up until July, which means that U.S. corn exports still have at least four more months of active business." "One year ago at this time, USDA showed 490 million bushels of corn shipped, which means that 1.408 billion bushels of corn were shipped in the final 6 3/4 months of the season," Hultman writes. "This year, 819 million bushels of USDA's 2.225 billion bushels estimate have already been shipped, meaning USDA expects no more corn will be shipped from this point on than what we saw last year. But if we compare the two years, 2016-17 clearly has the more bullish edge. This year, Brazil's real is 27 percent more expensive, leaving U.S. corn prices with a significant export advantage that was not there a year ago." The rusty-patched bumblebee, whose numbers have declined nearly 90 percent since the mid-1990s, is still waiting to be listed as an endangered species, Juliet Eilperin reports for The Washington Post. On Jan. 11 the U.S. Fish and Wildlife Service named the bee endangered. President Trump's White House chief of staff Reince Priebus imposed a regulatory freeze before protections went into effect. The earliest it can be listed as endangered would be March 21. "The striped black and yellow pollinator with a long black tail used to be so abundant in the Midwest that it was considered a nuisance by some residents," Eilperin writes. "It now only exists in parts of Wisconsin, Illinois and Minnesota. 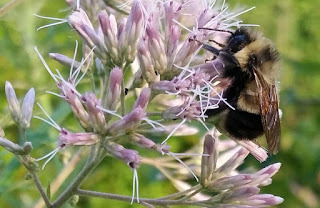 A parasitic fungus carried by commercial bees, along with habitat destruction and pesticide exposure has contributed to such a severe decline that the Fish and Wildlife Service has determined it will go extinct within 40 years without federal intervention." 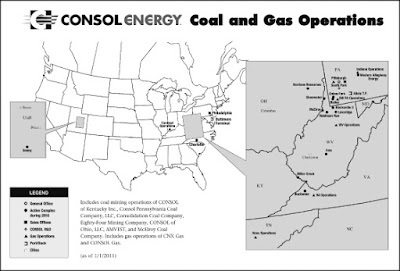 Consol Energy Corp. is getting out of the coal business and focusing on oil and natural gas, Daniel Moore reports for the Pittsburgh Post-Gazette. The 150-year-old coal mining company, formerly Consolidation Coal, said last week that "it could sell or spin off its coal business—which includes a controlling stake in three sprawling underground mines in Greene County [Pa.] that sell coal to power plants—as early as this year." Consol reported fourth quarter 2016 losses of $306 million, down from a profit of $30 million from the fourth quarter of 2015, Moore writes. "For the full year, the company lost $848 million, or $3.70 a share, wider than losses of $375 million, or $1.64 a share, in 2015. But the average sales price that Consol got for its natural gas during the fourth quarter improved to $2.22 per thousand cubic feet, up from $1.83 per thousand cubic feet one year before." The company maintains "the expectation that natural gas prices would rise, and productivity gains and cost controls would drive growth," Moore writes. "The plan is another step in the company’s strategy to move away from coal. In 2015, Consol spun off coal assets in 2015 to form CNX Coal Resources, a master limited partnership that owns 25 percent stake and fully operates the Greene County mining complex. On Tuesday, the company said a third option for Consol’s coal business would be to simply let CNX Coal take over the parent company’s stake in the mining complex." Former chicken farmers in five states—Alabama, Mississippi, North Carolina, Oklahoma and Texas—filed a federal lawsuit accusing major poultry processing companies "of treating farmers who raise the chickens like indentured servants and colluding to fix prices paid to them," David Pitt reports for The Associated Press. 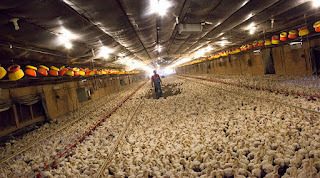 The lawsuits filed against Tyson Foods, Pilgrim's Pride, Perdue Farms, Koch Foods and Sanderson Farms allege that the contract grower system "pushed them deep into debt to build and maintain chicken barns to meet company demands." 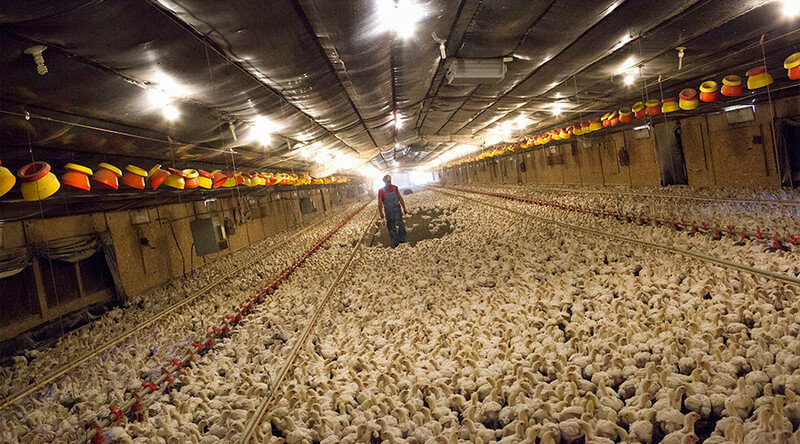 "Under the contract system, farmers provide the barns and labor to raise the chickens and the company provides chicks, feed and expertise to raise birds to slaughter weight," Pitt writes. In the lawsuit the farmers "say the companies colluded to fix farmer compensation at low levels to boost corporate profits, making it difficult for the farmers to survive financially." They contend that "the scheme keeps farmers in a state of indebted servitude 'living like modern-day sharecroppers on the ragged edge of bankruptcy.'" The five farmers suing the companies all say they have since quit raising chickens and are tens of thousands of dollars in debt, Pitt writes. Only Tyson has responded publicly to the claims, with spokesman Gary Mickelson saying, "We want our contract farmers to succeed and don't consult competitors about how our farmers are paid. These are false claims." The lawsuit, which claims the companies are like a "cartel," said they "frequently shared data on pay with each other to keep compensation lower than it would have been in a competitive market," Tom Polansek reports for Reuters. "That allowed the companies to keep more profits, the complaint said." The lawsuit also said, "The companies also agreed not to compete for the services of farmers working for each in order to insulate themselves 'from normal competitive pressures that could potentially erode the effects of their information sharing agreement,'" Polansek writes. The U.S. Department of Agriculture, which last week announced it was removing Animal Welfare Act and Horse Protection Act inspection reports from its website, said in a statement this week that the move is not final and that “adjustments may be made regarding information appropriate for release and posting," Mary Clare Jalonick reports for The Associated Press. USDA’s Tanya Espinosa "said a review of the website has been ongoing and the agency decided to 'make adjustments to the posting of regulatory records' in 2016, before President Donald Trump took office," Jalonick writes. No adjustments were made under Tom Vilsack, agriculture secretary under President Obama. On Sunday Matthew Herrick, former spokesman for Vilsack, "said on Twitter that the decision to remove the reports was 'not required.'" He posted, “Same option given 2 past admin. We refused. #transparency." Jalonick writes, "USDA says the documents will still be available through Freedom of Information Act requests, which can be costly for the general public and sometimes take months or years to obtain." Some state highway patrols are beginning to use predictive crash software as a way "to predict where serious or fatal traffic accidents are likely to take place so they can try to prevent them," Jenni Bergal reports for Stateline. 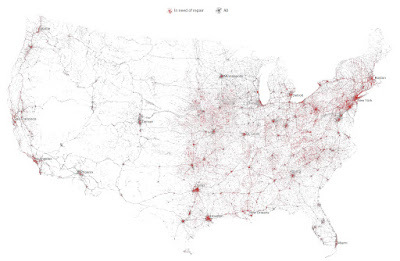 The vast majority of U.S. highway mileage is in rural areas. Kara Macek, spokeswoman for the Governors' Highway Safety Association, which represents state highway-safety offices, told Bergal, "This has a tremendous potential to help save lives by pinpointing where the crashes occur and digging deep into the data and using that to make decisions." Tennessee, which launched its program in 2013 through federal grants, has been one of the nation's leaders in using the software, Bergal writes. "The program’s software merges every crash report in the state, weather conditions, information about special events and traffic enforcement citations. It produces a map that shows the likelihood of a serious crash or fatality within 6-by-7-mile areas in four-hour increments every day. Troopers can check the map in their cars and patrol those targeted areas when they have the time. Supervisors also use the data to put together enforcement plans for the month, including where to set up safety belt and sobriety checkpoints." "Patrick Dolan, who manages the highway patrol’s statistics office, said his agency’s average response time to crashes dropped nearly 33 percent between 2012-2016, from 37 to 25 minutes," Bergal writes. While national traffic fatalities rose seven percent from 2013 to 2015, they dropped in Tennessee from 995 to 962. Tennessee fatalities rose to 1,042 last year, but that eight percent increase mirrored the national increase, largely because of a better economy and cheaper gas prices, says federal officials. "Tennessee officials say it’s too early to know whether they need to rework the predictive model or if the spike is related to other factors, such as more traffic on the roads." Other states have been slow to get on board, largely because of costs, Bergal writes. Missouri, where fatal crashes rose from 683 to 850 from 2013-2015, plans to start its program in January 2018. Wisconsin plans to launch a program this year. Indiana has made its crash predictive data public. First Sgt. Rob Simpson told Bergal, “We’re using this to better inform the public about potential hazards. Maybe someone will click on it and decide they want to take a different route to work or allow more time." Representatives from states with large rural populations—Montana, North Dakota, South Dakota and Wyoming—say President Trump’s promise to find $1 trillion for infrastructure by raising private money for roads and bridges won't do much to help rural areas, Ashley Halsey reports for The Washington Post. Sen. John Barrasso, a Wyoming Republican who chairs the Senate Committee on Environment and Public Works, said at a hearing Wednesday, “Funding solutions that involve public-private partnerships, as have been discussed by administration officials, may be innovative solutions for crumbling inner cities, but do not work for rural areas." "The challenge to that approach is that private investors will want a return on their money beyond the tax credit, so only through tolling or other methods of raising money will their investments pay off," Halsey writes. "That makes high-volume urban areas attractive, while less-populated areas would be unlikely to see private cash." Montana, North Dakota, South Dakota and Wyoming are four of the least populated states. Rural Democrats in Wisconsin, who are still trying to figure out what went wrong during the 2016 presidential election, spent about two hours Wednesday "venting to Thomas Perez, a candidate for chairman of the Democratic National Committee, about how the party had blown it in rural America," David Weigel reports for The Washington Post. 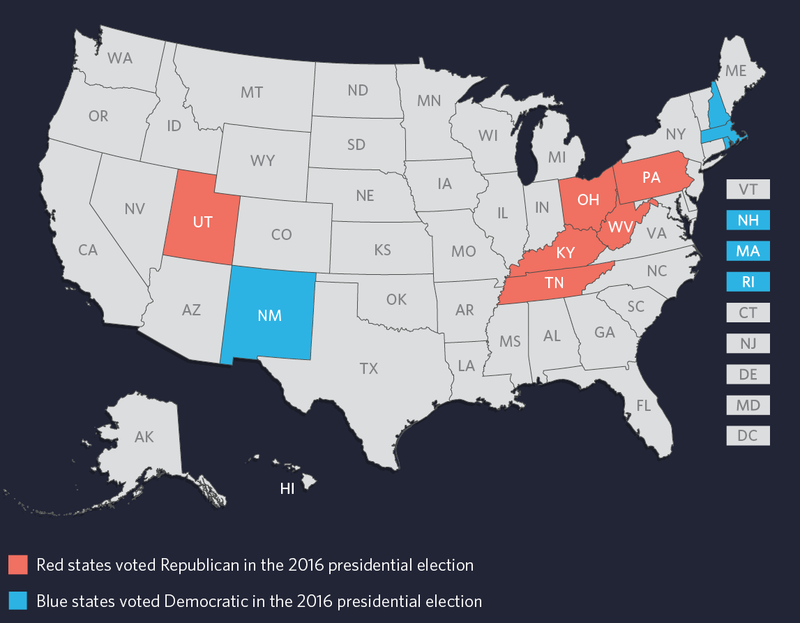 Before 2016 Democrats had taken every presidential election in Wisconsin dating back to 1988. What happened was that 50 Midwest counties, most of them rural, flipped from blue to red from 2012 to 2016, Weigel writes. The balance of power, or a path back to control of Congress, runs through rural areas, especially the ones who’d voted twice for Barack Obama then gave Trump wide margins of victory in the Rust Belt. Trump's win has led to nationwide protests, with activist groups beginning to pop up in rural areas. How that will translate to elections has yet to be seen. One problem is that some longtime rural Democrats voted Republican not because they embraced those candidates, but because they viewed Democrats as lost and elitist, especially Hillary Clinton, who was largely disliked in rural areas, Weigel writes. "But at Perez’s listening session, a few of the newly organized progressive activists, and a few who identified themselves as moderates, worried that their neighbors had voted Republican for reasons they could not undo." 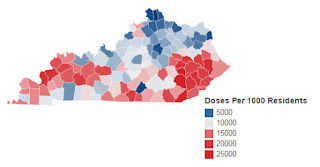 Pharmacies dispensing opioids are thriving in an impoverished, coal-depressed county in Eastern Kentucky, Phil Galewitz reports for Kaiser Health News. 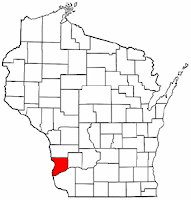 In Clay County (Wikipedia map) the unemployment rate is 8.4 percent, well above state and national averages, and 47 percent of residents live below the poverty line. Despite the downturn in the economy in the region, in Manchester, the county's largest town, with 1,500 residents, there are 11 pharmacies, mostly independently owned, with four opening in just the past three years. "Drug manufacturers and distributors have pumped prescription opioid painkillers into rural America, in response to demand—much of it from adults who had become physically addicted," Galewitz writes. "The expansion of Medicaid through the Affordable Care Act increased the percentage of Clay County residents with Medicaid and gave more of them access to free prescription drugs, including pain pills. Though Clay County’s opioid problem long preceded the act, the improved legal access helped bring a long standing problem out from the shadows. Statistics show residents are swallowing the preferred prescription opioid more." In Clay County, which has 21,364 residents, "2.2 million doses of hydrocodone and about 617,000 doses of oxycodone" where dispensed during a 12-month period ending in September 2016, Galewitz writes. That's 150 doses for every resident. Even before the ACA, prescription drugs were a problem. From 2009 to 2013, Clay County had the state's third highest rate of hospitalizations for pharmaceutical opioid overdoses. Clay County's health status is one of the worst in the nation, Galewitz notes: "Four in 10 residents rate their health status as being fair or poor, twice the share for the entire state population. Close to half the county is obese. The rate of diabetes is also higher than average." The inpatient drug-treatment facility closest to Manchester carries a waiting list of 100 that’s grown more than 50 percent in recent years, said Tim Cesario, director of substance abuse services at the Cumberland River Comprehensive Care Center in Corbin. The facility—with 41 beds for men and 15 for women—has been at capacity for several years, he said." "About 60 percent of Clay’s residents are on Medicaid, up from 35 percent three years ago. 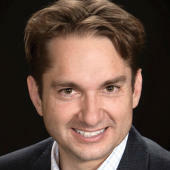 It is among the most highly concentrated Medicaid populations in the country," Galewitz writes. Steve Shannon, executive director of the Kentucky Association of Regional Programs, says Medicaid’s expansion has not created more addicts. He told Galewitz, “People who were uninsured were pretty resourceful when it came to finding drugs." Farmers in California's Central Valley who rely on migrant workers but backed President Trump, based on his pledge to reduce regulations and taxes, could now face a labor shortage, Caitlin Dickerson and Jennifer Medina write for The New York Times. Many thought Trump's tough stance on immigration was all talk. "But two weeks into his administration, Trump has signed executive orders that have upended the country’s immigration laws," they note. Now farmers in the nation's top agriculture state are worried "what the new policies could mean for their workers, most of whom are unauthorized, and the businesses that depend on them." Researchers at University of California, Davis say that in the Central Valley, about 70 percent of farm workers are in the U.S. illegally, reports the Times. 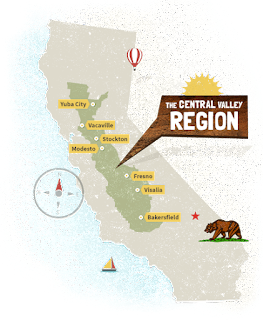 "The impact could reverberate throughout the valley’s precarious economy, where agriculture is by far the largest industry. 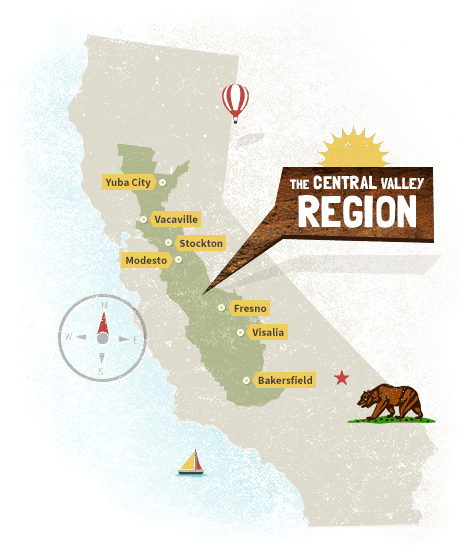 With 6.5 million people living in the valley, the fields in this state bring in $35 billion a year and provide more of the nation’s food than any other state." find ripe, purple heads of radicchio. "Farmers here have faced a persistent labor shortage for years, in part because of increased policing at the border and the rising prices charged by smugglers who help people sneak across," the Times reports. "The once-steady stream of people coming from rural towns in southern Mexico has nearly stopped entirely. The existing field workers are aging, and many of their children find higher-paying jobs outside of agriculture." "Many growers here and across the country are hopeful that the new administration will expand and simplify H-2A visas, which allow them to bring in temporary workers from other countries for agricultural jobs," the Times reports. "California farmers have increasingly come to rely on the program in the last few years." Central Valley farmers "say that legalizing the existing work force should be the first priority," reports the Times. "While they support the idea of deporting immigrants who have been convicted of serious crimes, they oppose forcing people to leave the country for minor crimes, like driving without a license." practitioner of no-till farming for 40 years. With more than half of all Iowa farmland being leased, typically for one year, farmers don't see the point in engaging in long-term conservation practices that can be expensive, Orlan Love reports for The Gazette in Cedar Rapids. Wendong Zhang, an economist who heads Iowa State University’s annual land-values survey, said that leads to "land insecurity," with farmers having no idea how long they will have the land. Mark Licht, an assistant professor of agronomy at ISU, said that insecurity makes "it easier for conservation decisions to be postponed or ignored." A U.S. Department of Agriculture study found that in 2014, Iowa’s 105,194 landlords rented out 16.33 million acres—53.4 percent of the state’s farmland, Love writes. "About 21 percent of leased Iowa farmland is owned by nonresidents, and more than 43 percent is owned by trusts (23.9 percent), partnerships (14.4 percent) and corporations (5.3 percent)." "Low commodity prices, slim profit margins and falling land rental rates—all prevalent in recent years—tend to lower conservation priorities for both landlords and tenants, said Sara Berges, a water quality coordinator for the Allamakee County Soil and Water Conservation District, which four years ago started a program to encourage landowners and tenants to develop conservation plans and incorporate them into lease agreements," Love writes. The study looked at 1,215,490 hospital admissions from 2011-14 of Medicare fee-for-service beneficiaries 65 and older treated by 44,227 general internists, about 44 percent of whom were educated outside the U.S. "After adjustment for patient and physician characteristics and hospital fixed effects, patients treated by international graduates had lower mortality," 11.2 percent to 11.6 percent. Average costs were higher for patients of international doctors, $1,145 to $1,098 and readmission rates were similar for all patents. While the difference in mortality rates—11.2 percent to 11.6 percent—might not seem like a lot, "it’s nearly 5,000 additional deaths," Katherine Ellen Foley reports for Quartz. "Another way to look at it: immigrant doctors save one additional life for every 250 patients treated than U.S.-trained docs." "The authors suspect the differences in care are due to a higher bar for employment for foreign doctors in the U.S.," Foley writes. "Only about half of foreign doctors who apply for positions in the U.S. get them, and they must undergo a residency in America—even if they’ve done one elsewhere already. They also have to take three additional exams assessing their medical knowledge and clinical capabilities." Foreign-born doctors are more likely to treat patients who are less likely to be white, affluent or covered by private insurance, Lisa Rapaport reports for Reuters. "Patients seen by international doctors were also more likely to have multiple chronic health problems like congestive heart failure, diabetes and chronic obstructive pulmonary disease." President Donald Trump narrowly won Wisconsin—where Barack Obama won in 2008 and 2012—largely on the strength of several rural counties that turned from blue to red in 2016, Claire Galofaro reports for The Associated Press. "They voted for Trump for an array of reasons, and the list of grievances they hope he now corrects is long and exacting: stagnant wages, the cost of health care, a hard-to-define feeling that things are not getting better, at least not for people like them." 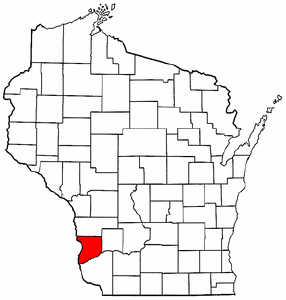 While Trump has talked of a U.S.-Mexico border wall and plans to ramp up immigration enforcement, those issues are of little concern in Crawford County (Wikipedia map), one of the oldest and poorest counties in Wisconsin, Galofaro writes. In Crawford, where Obama in 2012 beat Mitt Romney 52.8 to 46.1 percent, but in 2016 Trump easily beat Hillary Clinton 59.2 to 37.4, residents "are still watching and they are waiting, their hopes pinned on his promised economic renaissance." "Jim Bowman, director of the county's Economic Development Corporation, says some of the economic anxiety here is based not on measurable decay, but rather a perception that life is decaying," Galofaro writes. "There are plenty of jobs, but it's hard to find one that pays more than $12 an hour. Ambitious young people move away. Rural schools are dwindling, and with them a sense of pride and purpose." Mark Berns, who owns a small-engine repair shop that he can barely keep open, told Galofaro, "If you ask anybody here, we'll all tell you the same thing: We're tired of living like this. I just hope we get the jobs back and the economy on its feet, so everybody can get a decent job and make a decent living, and have that chance at the American dream that's gone away over the past eight or 10 years. I'm still optimistic. I hope I'm not wrong." Like many others, Marlene Kramer, who voted twice for Obama, voted for Trump because of the hope that a change could be better, Galofaro writes. Kramer, 54, has worked for 40 years, all hard jobs, and now works at a sewing shop where the biggest benefit is getting to sit, instead of being on her feet all day. She said the Patient Protection and Affordable Care Act hasn't helped her, with her and her husband "stunned to find premiums over $1,000 a month. They opted to pay the penalty of $2,000 until Trump, she hopes, keeps his promise to replace the law with something better." The U.S. Army Corps of Engineers is expected, possibly as soon as this afternoon, to issue a final easement for the Dakota Access Pipeline, Caroline Grueskin reports for The Bismarck Tribune. "The decision comes two weeks after President Donald Trump asked federal agencies to speed up their review of the crude oil pipeline that tribal and environmental activists have protested for months." Douglas Lamont, a senior official performing the duties of the assistant secretary of the army (Civil Works) said in a court filing that "he reviewed all the corps study of the pipeline and decided the easement was warranted," Grueskin writes. "Lamont said his analysis justified reversing an earlier decision made under the Obama administration to explore alternative routes and conduct a full environmental impact statement. A notice terminating the study will be published in the Federal Register, according to filings in the federal court case between the Standing Rock Sioux Tribe and the corps." The Standing Rock Sioux tribe said it would fight the decision in court. 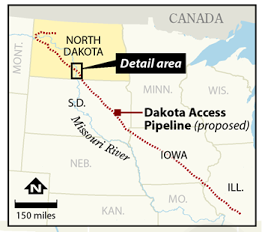 The $3.8 billion, 1,150-mile pipeline is expected to carry as much as 570,000 barrels of Bakken Formation crude from North Dakota through South Dakota and Iowa to Illinois. Standing Rock Sioux have protested the pipeline around Cannon Ball, N.D., citing concern that a spill could contaminate the Missouri River, their main source of water. The Corps also said it was waiving the two-week waiting period typically required following congressional notification before construction begins, Ellen M. Gilmer and Hannah Northey report for Greenwire. That means that Energy Transfer Partners, the Dallas-based company building the oil pipeline, would not not need any additional federal approvals to begin construction. Mixing alcohol and opioids greatly increases the risks of ventilatory depression, a potentially fatal condition that results in a failure to provide enough oxygen to the body's cells and remove excess carbon dioxide from them, says a study by researchers at Leiden University Medical Center in the Netherlands, published in the journal Anesthesiology. The opioid epidemic a major concern in rural areas, especially in Appalachia. Researchers gave one 20-mg oxycodone tablet to 12 people aged 21-28 and to 12 aged 66-77 who had not been chronically taking or who had never taken opioids, says a press release. During three visits they were also given alcohol intravenously, with amounts increasing each time, from a placebo on the first visit, rising to one drink for women and three for men, then to three for women and five for men. "Researchers studied resting respiratory variables, minute ventilation—the amount of air the volunteers breathed per minute—and the number of times volunteers temporarily stopped breathing were obtained at regular intervals during treatment." One oxycodone tablet reduced ventilation by 28 percent and two by 47 percent, says the press release. "The combination of ethanol with oxycodone caused a significant increase in the number of times volunteers experienced a temporary cessation in breathing." This occurred more often in the older participants. How did Appalachian county where Trump won 83% of the vote get labeled a sanctuary city? 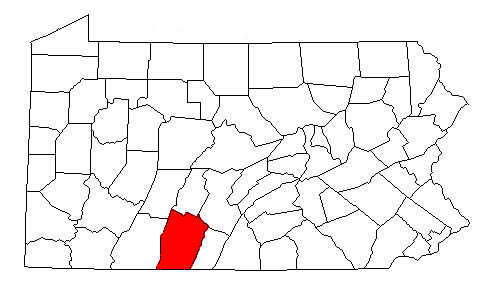 Residents in a rural Appalachian county in Pennsylvania who gave President Trump 83 percent of their votes have been shocked to find that they are listed as a "sanctuary city," Todd Frankel reports for The Washington Post. Bedford County is considered a sanctuary city by the Federation for American Immigration Reform and the Center for Immigration Studies, two conservative groups with strict immigration views, Frankel writes. "Sanctuary city" means a protective refuge where local law enforcement officials refuse to cooperate with federal immigration authorities. "Shortly after entering the White House, Trump ordered the Department of Homeland Security to study how to cut off federal funding for places that do not help federal immigration officials." So, how did Beford County get on the list? 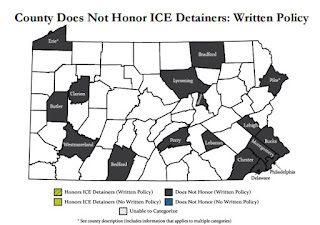 A 2014 report from Temple University’s Beasley School of Law "examined whether Pennsylvania counties cooperated with Immigration and Customs Enforcement requests to detain suspects for up to 48 hours when their immigration status is in doubt," Frankel writes. "The extra time is to allow federal immigration agents time to pick up the suspect. Whether police honor these detainer requests is at the heart of many sanctuary city designations." "The Temple report noted, correctly, that Bedford County’s jail policy was to not hold suspects for immigration authorities — because the county was worried about liability," Frankel writes. They do call federal agents when there is a suspected illegal immigrant. At a county commission meeting last week officials announced that "the county jail’s policy had been changed to emphasize that the jail would cooperate with federal immigration agents and detain suspects as needed." Officials are now working to be removed from sanctuary city lists. The Rural Blog rarely deals with the business side of newspapers, but when an innovative idea, supported by research and real-world experience, offers the opportunity to produce revenue to support newsgathering, we take note. Small daily newspapers (and perhaps larger weeklies) can create new revenue through digital marketing, says a study by a professor at the University of North Carolina School of Media and Journalism. "Despite an increased array of marketing options and a desire by small business owners to invest in new advertising tactics, about 38 percent of these businesses have not invested in any form of digital or online marketing for their businesses." The News Reporter, a twice-weekly, Pulitzer-Prize-winning newspaper in Whiteville, N.C., with a print circulation of 10,000, "was an early pioneer in the digital space, establishing a robust website and social media presence that connects with thousands of loyal users on a daily basis," reports UNC. But the paper, which serves one of the poorest counties in North Carolina, "struggled to increase digital advertising revenue to compensate for the loss of print advertising revenue." JoAnn Sciarrino, Knight Chair in Digital Advertising and Marketing at UNC-Chapel Hill, said community newspapers, even weeklies, can easily and cost effectively take a page from metro papers by "establishing in-house digital advertising agencies that provide a range of services—such as website design and search engine optimization—to its local advertisers," UNC reports. Sciarrino helped set up a digital-marketing agency at The News Reporter, which has a four-person advertising staff. The paper's strategy is based on five areas: Adopt a digital-first mindset; delete print-only rates from published rate cards and align commission structure; create an 'everyone sells digital' culture; offer influential prospective customers limited pro-bono services; and develop sales reps into sales consultants. Rural experts say the long-term trends hurting small towns—urbanization, globalization and mechanization—won't change much under President Trump, Brian Mann reports for NPR. Trump won by big margins in many rural areas, largely because of his promise to revitalize them. Experts say "taking a tougher line with China or Mexico likely won't cause a surge of new manufacturing in small towns," Mann writes. Chuck Fluharty, who heads the Rural Policy Research Institute, told Mann, "About 65 to 80 percent of the manufacturing losses in our country are directly related to automation and technology," and those kinds of job cuts "can't be reversed by tariffs or trade deals." Mann writes, "What rural America needs is an investment in what he describes as human capital, health care and education. He also says small towns need to open their doors to immigrants." He told Mann, "The rural regions that will thrive in the future are the ones where that diversity is strongly expressed." Mann writes, "But efforts to create any kind of path to citizenship for undocumented families living in rural America seem unlikely to move forward. Rural economists say the new administration could boost some regions in the short term with big investments in infrastructure, roads and bridges. Parts of the country could also see a boom from increased oil or gas production." One problem is migration, with large numbers of young people leaving rural areas for metros, Mann writes. Dave Swenson, a rural policy expert who studies rural counties for the state of Iowa—where two-thirds of counties have seen population declines—said the people left behind feel angry and humiliated. He told Mann, "What's left out in many of these places are the people that were unable to migrate, people who were unable to find new occupations or re-educate themselves into new trades." There are about 15,000 doctors in the U.S. from the seven countries—Iran, Iraq, Libya, Somalia, Sudan, Syria, Yemen—targeted by President Trump's travel ban, Donald G. McNeil Jr. reports for The New York Times. Many of them work in rural and under-served areas. Nearly half—42 percent—of all rural doctor visits are to a foreign-born physician, McNeil reports. 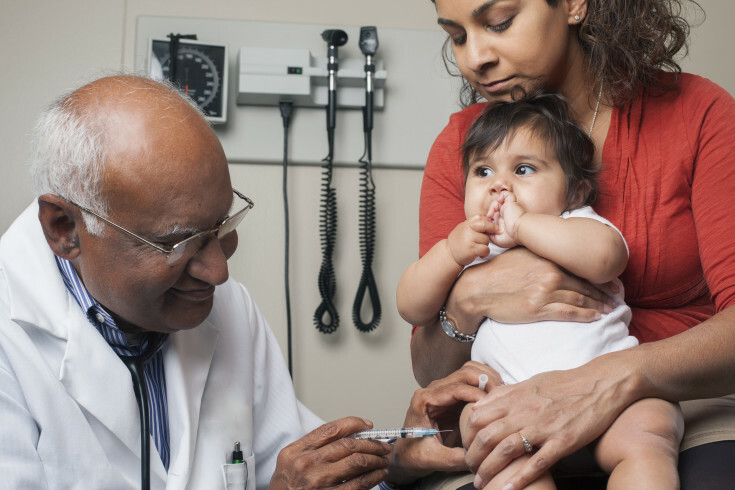 "Foreign-born physicians have become crucial to the delivery of medical care in the U.S. They work in small towns where there are no other doctors, in poor urban neighborhoods and in Veterans Affairs hospitals." Dr. Patricia F. Walker, the associate director of the University of Minnesota’s Global Health Pathway, which helps refugee doctors practice in the U.S., said of foreign-born doctors, “They go to the places where graduates of Harvard Medical School don’t want to go." Each year there are 22 percent more residencies available "than there are American graduates to take them," McNeil writes. "Graduates of foreign medical schools now fill that gap; the largest number come from India, followed by Pakistan, China, the Philippines, Iran and Israel. Many foreign graduates have J-1 visas, which give them about three years to complete their residencies. Foreign-born graduates must return home when their visas expire, but they can get extensions if they agree to work in an area that the Department of Health and Human Services considers 'medically under-served,' which is roughly defined as having less than one primary care doctor for every 3,000 people. Those who practice in an under-served area for several years can apply for green cards." Andrea Clement, a spokeswoman for The Medicus Firm, which recruits doctors for hard-to-fill jobs, "said that 76 percent of the foreign doctors it placed last year had gone to areas with fewer than 25,000 people or to small to medium-size cities of 25,000 to 500,000," McNeil writes. It placed the most doctors in Wisconsin, followed by California, Texas, Maryland, Oregon, Missouri, Tennessee, Ohio and Arizona. In Iowa, for example, 172 doctors are from the seven countries subject to the travel ban and 23 percent of the state’s 13,000 practicing doctors were born outside the U.S., Tony Leys reports for The Des Moines Register. Alabama, which has 600 foreign-born doctors, has a program that since 1992 has supplied 27 Syrian doctors to rural and low-income areas, Amy Yurkanin reports for Alabama Media Group. While President Trump's plan to build a border wall and ramp up immigration enforcement could hurt agriculture as a whole, some fruit and vegetable farmers are dealing with labor shortages by switching to automation, Elizabeth Weise reports for USA Today. 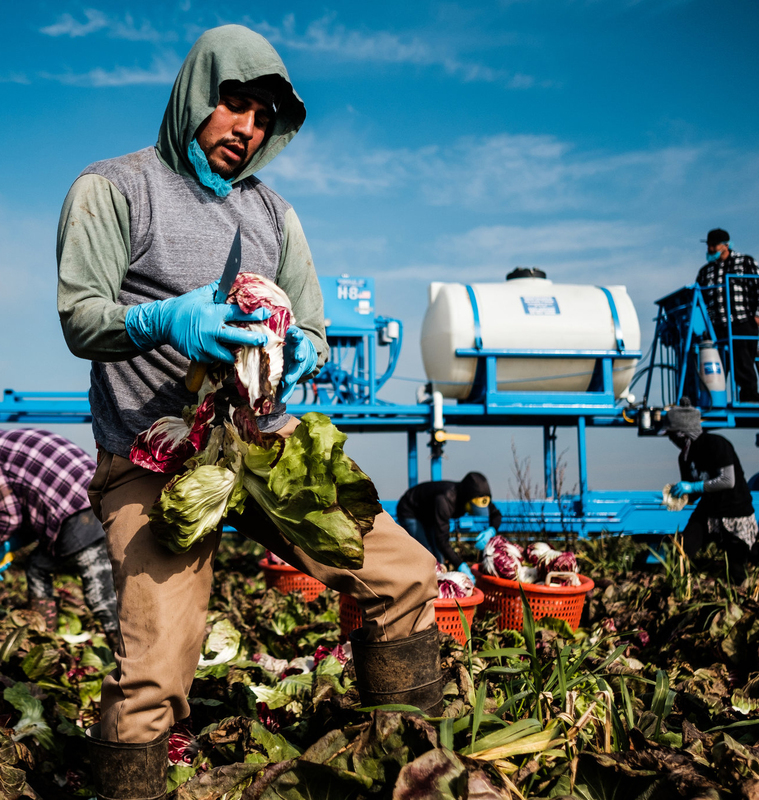 "The immigrant workforce that has long picked and packed the nation's fruits and vegetables move to better jobs as soon as they can, replaced by new immigrants." Those new immigrants are becoming scarce, largely do to increased border security and a strong Mexican economy that has created more jobs for workers back home. "Robotic, sensor and other companies are striving to fill that hole," Weise writes. "The technology, from a Lettuce Bot to crop drones to robotic strawberry pickers, is still in its infancy. But agricultural-tech companies say any policies that further keep out immigrants is likely to increase demand." 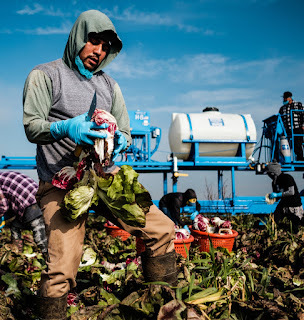 California, the nation's top agriculture state, has 333,000 farm workers, an estimated 80 percent of which are undocumented, said Manuel Cunha, president of the Fresno-based Nisei Farmers League. He said more stringent immigration rules will have workers fleeing the country, especially "a requirement in an early version of the proposed immigration executive order that would expand E-Verify, an internet-based system for businesses to verify worker eligibility. Between that and what he sees as onerous regulation, he says farm labor costs could become unsustainable." California-based Taylor Farms, one of the nation’s largest fresh-cut fruit and vegetable suppliers, is already experimenting with dozens of types of technology, Weise writes. Bruce Taylor, CEO, said "Trump’s immigration policies 'are going to force us to solve our labor problems faster.'" President Trump's travel ban of seven countries—Iran, Iraq, Libya, Somalia, Sudan, Syria, Yemen—is more than about scoring political points; it's about real people with real lives at stake, opines Jon K. Rust, publisher of the Southeast Missourian in Cape Girardeau, Mo. Rust has firsthand experience, having gone through the arduous process of welcoming an 11-year-old Russian orphan into his home. "In the case of Russia, after filling out highly detailed forms with much personal information, hundreds of people line up every day outside the U.S. embassy to enter at their appointed time for interviews," he writes. "Embassy staff who already have reviewed countless documents for a candidate and conducted investigations, if necessary, make life-altering decisions with little time to sugarcoat their rejections. Anya, this little girl struggling with so much, felt each of her four rejections in her heart. She would burst into tears, her whole body sobbing." "Part of her response was because she was just exhausted," he writes. "To get to the interview involved someone taking time off work, traveling with her on a bus for several hours and then taking an 8-hour overnight train, public transportation, and then waiting in line sometimes in the rain and cold for her interview, which on more than one occasion lasted for only a couple of minutes. There wasn't much to confirm or question in the main part of her documents—she was poor with a troubled family—and thus, supporting materials weren't of interest. Part of the other reason she sobbed is that she just wanted to be loved and embraced—to succeed at something—when so often in her life she was beaten down." Rust writes that he is telling the story "because I can't imagine what it would have felt like—other than fury and despair—for Anya to have received her visa after more than a year of effort, to travel here and then be rejected at the airport because while she was in the air, a presidential order banned everyone from her country from entering the U.S.," he writes. "The way the ban was implemented was cruel, haphazard and short-sighted. Innocent people were treated in deplorable ways." "If the Trump administration planned the surprise implementation to gain maximum exposure, it succeeded," he writes. "But the rollout was heartless, and for those who argue that it had to be sprung instead of announced and calmly implemented, they don't understand the in-depth process that those travelers had already faced (more than two years of scrutiny in some cases). Since the weekend, several aspects of the presidential order have been clarified or walked back, including not barring those with green cards. Those changes are good. But they should have been clear in the original implementation." Researchers at University of California, Davis have discovered a link between a syndrome seen in some newborn horses and childhood autism, Pat Balley reports for UC Davis. Neonatal maladjustment syndrome, or "dummy foal" syndrome, occurs in 3 to 5 percent of live horse births. It can cause newborns to seem detached, stumble around and show no interest in nursing. 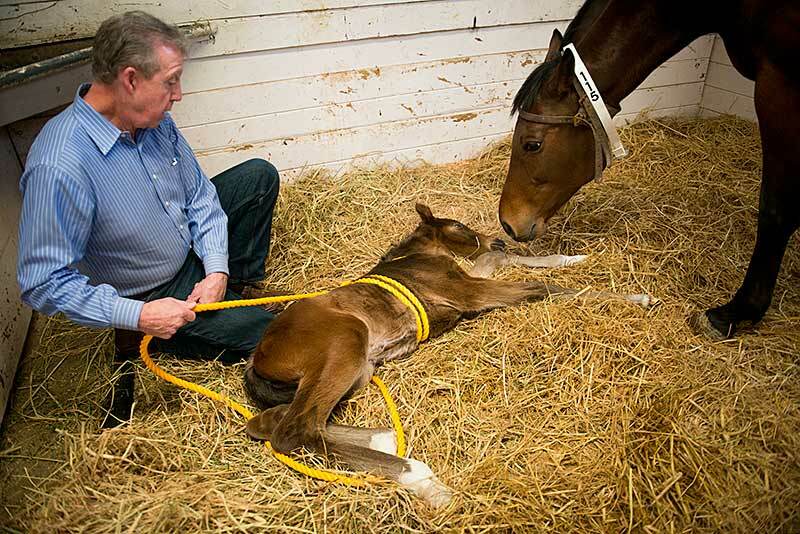 "Immediately after birth, the infant horse must make an equally important transition to consciousness," Balley writes. "In nature, a baby horse would be easy prey for many natural enemies, so the foal must be ready to run just a few hours after it is born. In short, somewhere between the time a foal enters the birth canal and the moment it emerges from the womb, a biochemical 'on switch' must be flicked that enables the foal to recognize the mare, nurse, and become mobile." Researchers say this theory is supported by the fact that the syndrome "appears more frequently in horses that were delivered via cesarean section or experienced unusually rapid births." Researchers have found a similar disruption in the transition of fetal consciousness between horses and children, Balley writes. "With continuous treatment, including around-the-clock bottle or tube feeding plus intensive care in a veterinary clinic, 80 percent of the foals recover." Researchers note that "some children with autism do outgrow autistic behaviors by the time they reach their teen years," which suggests a possible parallel to the recovery of foals with maladjustment syndrome. "Researchers are exploring whether abnormal regulation of neurosteroids during the time around childbirth could be one of many factors that might contribute to autism and related neurodevelopmental disorders," Balley writes. "A recent study has reported elevated levels of neurosteroids in children with autism spectrum disorder." Cody Derespina of Fox News reports, "The White House hasn’t released a detailed description of how the panelists are chosen, except that anyone applying must live at least 50 miles from Washington, D.C. 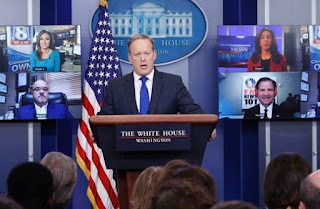 The panelists were shown on a pair of televisions located behind and on either side of Spicer and were only on screen while asking a question. Otherwise the TV screen showed a White House logo." The first four panelists selected were: Kimberly Kalunian of WPRI Rhode Island; Natalie Herbick from FOX8 in Cleveland; Portland, Ore.-based conservative radio talk show host Lars Larson; and stoutly conservative Jeff Jobe, who has run for office as a Republican and publishes six weekly newspapers in Southern Kentucky. He said Trump acting on campaign promises "gives hope to my state and particularly the region in which I grew up, Appalachia. . . . So my question is, how soon or when will the rules restricting coal mining, coal burning and coal exports be reversed?" Spicer said, "Once we have the secretary of energy confirmed ... we can continue to take steps to move forward with." Other reporters say they "fear the Trump administration is using the initiative to dilute critical questions from veteran journalists with softballs from supportive outsiders," Dylan Byers reports for CNN Money. Jobe, the only rural participant, told Byers he is a Trump supporter, but "stressed that his only intention is to serve his readers," Byers writes. Larson asked a more opinionated question than Jobe: "The federal government is the biggest landlord in America. It owns two-thirds of a billion acres of America. I don’t think the Founders ever envisioned it that way. Does President Trump want to start returning the people's land to the people? And in the meantime, for a second question—since that's in fashion these days—can he tell the Forest Service to start logging our forests aggressively again to provide jobs for Americans, wealth for the Treasury, and not spend $3.5 billion a year fighting forest fires?" Cattle raisers are getting less money at the stockyard, but consumers are not reaping the rewards at the grocery store, Jere Downs reports for The Courier-Journal in Louisville. Farmers in Kentucky who a few years ago got $1,600 for an 800-pound calf are now getting $800 to $900. In South Dakota, calves bought for $1,200 to $1,500 to replace losses from the devastating 2013 blizzard have sold for $600 to $750, Jeff Holland reports for the Rapid City Journal. 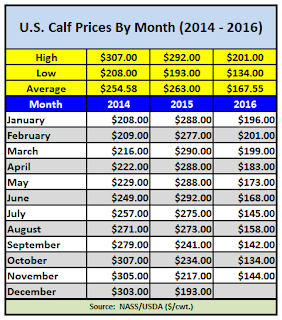 Another brutal South Dakota winter this year is raising costs to raise a calf by $200. 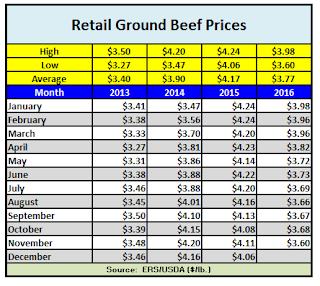 Falling prices shouldn't change any time soon, Andrew Griffith, a livestock economist from the University of Tennessee said at the Beef Cattle Health Conference in Blacksburg, Va., Beverly Amsler reports for Lancaster Farming. Griffith said cattle prices were high five years ago, leading ranchers to expand their herds. But drought led to higher corn prices, sending cattle prices in decline. He said cattle prices are expected to keep dropping this year. Silvia Christen, executive director of the South Dakota Stockgrowers Association, "said a number of factors have led to the severe downturn," Holland writes. "The 2015 repeal of country-of-origin labeling for beef and pork products meant U.S. retailers could seek cheaper imports of beef products. Christen said her organization was also concerned with beef buyers' consolidating, leading to a reduction in the number of packers and a less competitive market." In Kentucky, the top Eastern cattle state, beef once generated $1 billion in annual sales, but cattle farmers now "are barely breaking even or losing money for the 1 million young cows, steer or calves sold each year to fatten in feedlots out west," Downs writes. "While cattle farmers lose about half of their income, supermarket beef prices have barely budged, edging downward about 10 percent, according to Cattle Fax, a beef industry analyst firm." Beef cost an average $5.74 in 2016, down from $6 per pound in 2015, according to the U.S. Department of Agriculture. "Industry experts also say cattle trading on the Chicago Mercantile Exchange has been volatile beyond rational trends," Downs writes. "The National Cattlemen's Beef Association asserts that automatic, high-frequency trading by computers has skewed the market south." "Fairer cattle trading practices are the promise of new federal rules finalized in the waning days of the Obama administration at USDA," Downs writes. "But that reform of the federal Grain Inspection, Packers & Stockyards Administration has been put on hold for 60 days by President Trump. For a farmer who has received $1,000 per calf this year instead of $2,000 a few years ago, the new GIPSA rule that was to be final in February would enable him to file a federal complaint and wield other means to challenge anti-trust practices and unfair competition," said Paul Wolfe, senior policy analyst at the National Sustainable Agriculture Coalition, the Washington, D.C., lobby representing 100 grassroots groups working for a healthier agriculture economy. As the Hispanic population—and the number of Hispanic business owners—grows in rural Hazleton, Pa. (Best Places map), so does the divide among residents over immigration policies, Vaughn Hillyard reports for NBC News. Hazleton, a town where officials once tried to pass an ordinance to make it "the toughest place on illegal immigrants in America" now relies on immigrants, some of them undocumented, to survive. The Hispanic population has grown 800 percent in the past 15 years, with about half of the town's 25,000 residents Hispanic. Some worry about the effect of President Trump's immigration policies, including his executive order that "declared that the federal government would begin working to re-implement the 287(g) program, which could authorize local law enforcement agencies to enforce federal immigration law," Hillyard reports. "Over a decade ago, Hazleton generated national headlines over controversial immigration proposals," Hillyard writes. "With the City Council, Hazleton's then-mayor and now-congressman, Lou Barletta, authored multiple city ordinances in 2006" that "would have barred landlords from renting to undocumented immigrants and employers from hiring them. One ordinance also declared English as the city's official language. Ultimately, a federal appeals court rejected the city's efforts, saying immigration enforcement was the job of the federal government. The Supreme Court refused to consider Hazleton's appeal, so Hazleton had to drop its effort." Mayor Jeff Cusat, a Trump supporter, wouldn't say whether he believed all undocumented immigrants should be removed from the city, Hillyard writes. Cusat told NBC, "Everybody has an identity and should be able to prove [it] if need be. If we can't prove who you are, how do we know what your intentions are?" President Trump's pledge to repeal the Patient Protection and Affordable Care Act could have dire effects on drug-treatment programs, especially in Appalachia and other rural areas plagued by the opioid epidemic, Christine Vestal reports for Stateline. An estimated 1.6 million previously uninsured addicts in the 31 states that expanded Medicaid gained coverage since 2014. More than 33,000 people died in 2015 from opioid overdoses, a 16 percent increase over 2014, while prescription overdose deaths have quadrupled since 1999, says a study by the Centers for Disease Control and Prevention. In 2014 Ohio had the most opioid overdoses and West Virginia the highest rate, says a separate study by CDC. Both expanded Medicaid. "Although a plan for replacing the federal health law has yet to be announced, House Republicans and Trump have proposed shifting Medicaid to a block grant, in which a capped amount of money would be allocated to each state to provide low-income health care services," Vestal writes. "By putting more of the cost burden on states, the shift is projected to save the federal government $1 trillion over 10 years. But most states would be unable to come up with the extra money and would have to scale back efforts to get more people into treatment, said Lisa Clemans-Cope, a researcher with the Urban Institute, which analyzes health care policy." "Because addiction is a chronic, lifelong disease, a cut in Medicaid funding would stymy states’ efforts to reduce the number of people who are addicted to heroin and other opioids and at risk for drug overdoses," Vestal writes. "Not only would low-income adults already in treatment be in jeopardy of losing coverage for their continuing care, but budget-strapped states likely would be unable to help others get out of homeless shelters and jails and into treatment." The U.S. Department of Agriculture on Friday announced it was removing from its website Animal Welfare Act (AWA) and Horse Protection Act inspection reports—which includes information on soring, the use of chemicals and physical abuse to induce high steps in show horses—regulatory correspondence, research facility annual reports and enforcement records that have not received final adjudication. The agency also said it would "review and redact, as necessary, the lists of licensees and registrants under the AWA, as well as lists of designated qualified persons licensed by USDA-certified horse industry organizations." Records will now only be available through Freedom of Information Act requests, "which can take years to be approved," Karin Brulliard writes for The Washington Post. USDA "cited court rulings and privacy laws for the decision, which it said was the result of a 'comprehensive review' that took place over the past year." A USDA statement said: “We remain equally committed to being transparent and responsive to our stakeholders’ informational needs, and maintaining the privacy rights of individuals with whom we come in contact." USDA officials refused to say if the removal was temporary of permanent and it was unclear if the change was a direct result of newly hired Trump administration officials, Brulliard writes. Renewable-energy advocates say wind and solar energy, not coal, can revive rural communities, Chris Martin reports for Bloomberg. Wind-farm developers employed more than 100,000 workers and the solar industry more than 200,000 at the end of 2016, compared to 65,971 coal mining jobs at the beginning of 2016, says U.S. Energy Department data. One problem is that the top 10 congressional districts for wind energy are all in Republican-dominated red states, Martin writes. Trump's victory, and his pledge to revive the coal industry, hasn't helped. "The Bloomberg Global Large Solar Energy index has dropped almost 13 percent since Trump was elected, compared with a 6.7 percent gain in the broader S&P 500 index." "While Trump criticized wind turbines as bird killers during the campaign, his pick for Energy Secretary, former Texas Gov. 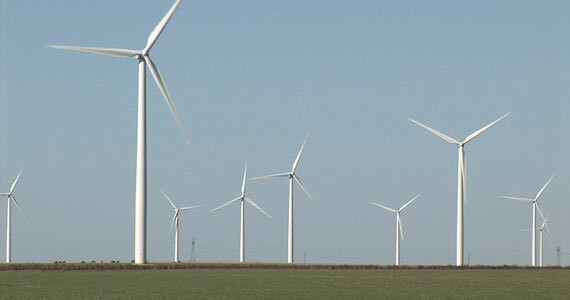 Rick Perry, helped his state become the largest producer of wind power," Martin writes. 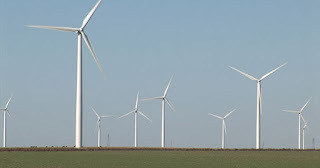 "Wind developers expect to attract $60 billion in private investment under existing tax credits over the next few years as installations ramp up, and will double the power sent to the grid to about 10 percent, from about 5 percent today. That, and the built-in sunset provisions that came with the tax-credit extensions, may help preserve the policies as Trump and the Republican-controlled Congress consider changes to the tax system."